Charlottesville and Albemarle County offer one of the best two-fers around: vibrant city life (minus the big-city congestion and stress) and quaint countryside just a short drive away. Rise and shine bright and early and head west from Charlottesville to the charming town of Crozet, where you can enjoy breakfast and a relaxing round of golf at Old Trail Golf Course. Then, time for refreshments, so head just down the road to Starr Hill Brewery for a tasting and tour. 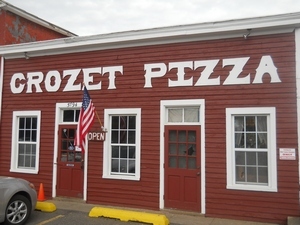 At midday, discover the pizza that National Geographic recently named “Best Pizza in the World,” at the famous Crozet Pizza. After lunch, it's time to see the sights. Head west to the Blue Ridge Parkway and enjoy the breathtaking scenery. Take your time to stop and explore, and Instagram a couple of pix for friends back home. 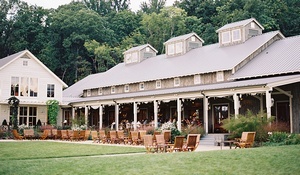 On your way back to Charlottesville, check out a winery or cidery. There are plenty to choose from, including Pippin Hill Farm & Vineyard, Albemarle CiderWorks, King Family Vineyards, and Pollak Vineyards. Be ready for a sensational dinner at the quaint and elegant Ivy Inn. Afterwards, sit under the stars with a nice glass of local wine, before catching some zzz’s at a lovely Charlottesville bed & breakfast or small inn. There's a reason they're called “bed & breakfast” inns, and the breakfast part of your stay is likely to be memorable, so don't be late. This will get you ready for a second day of adventure and exploration. 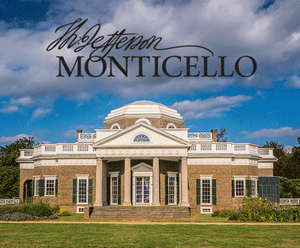 Head to the beautiful home of Thomas Jefferson for a guided tour of the fascinating Monticello. Tinkerers, mechanics, entrepreneurs...this monument to creativity has something for everyone. Your trip through time would not be complete without a hearty midday meal at historic Michie Tavern, an authentic Colonial traveler's rest stop, where you'll enjoy the best fried chicken in town along with all the fixings, 18th-century style! 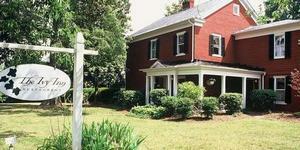 Next, head east to discover a few of the stops along the Monticello Artisan Trail. From artisan studios and art galleries to farms, agri-artisans and wineries, drive down beautiful country roads to find amazing treasures (edible or not!). Rise and shine! 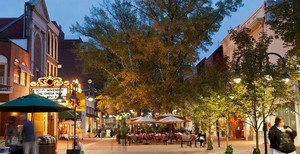 Have your coffee and eggs at a restaurant on Charlottesville's historic pedestrian Downtown Mall. Then explore the Mall, where you will find an array of unique privately owned boutiques and art galleries. Stop in at The Glass Palette where you can create your very own glass art piece, or City Clay, where you can spin your own wheel and fabricate a unique pottery item. After lunch at a downtown eatery, venture away from the Downtown Mall to Historic Court Square to take in the 200-year old courthouse, the only one in the United States that has been used by three early American Presidents at the same time. Next, head west on Market Street, passing the McGuffey Art Center to West Main Street and its Main Street Market, for even more shops and eateries. While in the area, don’t miss renowned Gearharts Chocolates, if you’re in the mood for a treat. With your survey of restaurants on West Main Street and the Downtown Mall area complete, pick one that piqued your interest for dinner. Afterwards, choose from many live entertainment options, including the professional Paramount Theater, or if you prefer high-quality volunteer theater, Live Arts. Live music is also available at the Jefferson Theater, The Southern Café & Music-Hall, Miller’s Downtown, or the Sprint Pavilion, an outdoor venue located at the east end of the Downtown Mall.